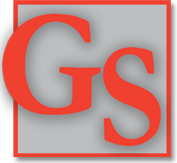 Business/Commercial Insurance from the Gardner & Strayer Insurance Group, Inc. Businesses require many different kinds of investments from those who own and run them. Time and talent is a necessity; so is the desire to succeed. Not least, however, is the often substantial financial investment and/or risk undertaken. That's where the Gardner & Strayer Insurance Group comes in. We can't gift you with more time in your busy day, but we can help you protect your financial investment! Whatever the nature or size of your business, we can assist you with the right product, or combination of products, to ensure that your assets are covered. We specialize in specialty programs for businesses. Let us put our expertise to work for you. Complete and submit the following information, and we will contact you with your options and our recommendations. If you prefer, you may download and print a Request for Quotation form and mail or fax it to us. All information is required.